2018 was an extremely active year for case law interpreting the Fair Debt Collection Practices Act (FDCPA)—over 1000 federal court decisions. This article reviews the thirty-four reported Circuit Courts of Appeals decisions. The Seventh Circuit’s eleven reported appellate decisions in 2018 were the most of any circuit, and every circuit except the First Circuit and the DC Circuit had reported appellate decisions. it is hard to predict the outcome of the Court’s decision in the case. The topic is treated more generally at NCLC’s Fair Debt Collection § 4.2.6. Of course there were many other appellate decisions not reported in the Federal Third Reporter and hundreds of federal district court decisions. NCLC’s Fair Debt Collection treatise includes “the FDCPA Case Connector,” a database of 14,000 summaries of FDCPA case holdings, including reported and unreported federal district court, circuit court, and Supreme Court decisions prior to 2018. The FDCPA Case Connector allows users to filter, sort, or select case summaries by any combination of court, topic, year, citation, party name, and keyword. The case summaries also link to similar decisions and to related decisions in the same case. Vangorden v. Second Round, L.P., 897 F.3d 433 (2d Cir. 2018). Consumer stated a claim under §§ 1692e(2), 1692e(10), and 1692f(1) when she alleged that a collection letter falsely stated that she owed a debt and then requested payment on the alleged debt. Rejecting an argument by the collector that § 1692g shielded it from liability, the Second Circuit held that “nothing in the text of the FDCPA suggests that a debtor’s ability to state a § 1692e or § 1692f claim is dependent upon the debtor first disputing the validity of the debt in accordance with § 1692g.” Finally, the court concluded that a letter misstating “the very existence” of a debt can mislead the least sophisticated consumer regardless of the intent of the collector. Cohen v. Rosicki, Rosicki & Assoc., 897 F.3d 75 (2d Cir. 2018). The Second Circuit first concluded that the consumer had standing because “§§ 1692e and 1692g protect an individual's concrete interests, so that an alleged violation of these provisions satisfies the injury-in-fact requirement of Article III.” The Second Circuit concluded that the consumer’s obligation to pay off the mortgage note is a debt under the FDCPA and that the foreclosure filings at issue in this case were “in connection with the collection of any debt.” In so ruling, the court noted that, in contrast with the Ninth Circuit’s decision in Ho v. ReconTrust Co., N.A., 858 F.3d 568 (9th Cir. 2016), this case involved a judicial foreclosure in a jurisdiction where state law permitted deficiency judgments. However, the Second Circuit affirmed the dismissal of the case for failing to state a claim. The § 1692e claim failed because whether the servicer’s statement that it was the creditor was not material here given the foreclosure proceeding. (In so ruling the Second Circuit officially adopted a materiality requirement for § 1692e claims.) The § 1692g claim failed because both the certificate of merit filed with the foreclosure complaint and the request for judicial intervention filed after the foreclosure complaint fell under § 1692g(d)’s pleading exclusion and were not initial communications under § 1692g(a)(2). Taylor v. Fin. Recovery Serv., Inc., 886 F.3d (2d Cir. 2018). Consumers alleged a violation of § 1692e because collection notices listed a “balance due” without stating that the debts were not accruing interest or fees. Clarifying its holdings in Avila v. Riexinger & Associates, L.L.C., 817 F.3d 72, 77 (2d Cir. 2016) and Carlin v. Davidson Fink L.L.P., 852 F.3d 207 (2d Cir. 2017), the Second Circuit held that “if a collection notice correctly states a consumer’s balance without mentioning interest or fees, and no such interest or fees are accruing, then the notice will neither be misleading within the meaning of Section 1692e, nor fail to state accurately the amount of the debt under Section 1692g. If instead the notice contains no mention of interest or fees, and they are accruing, then the notice will run afoul of the requirements of both Section 1692e and Section 1692g.” The Second Circuit affirmed summary judgment for the collector. We will report forgiveness of debt as required by IRS regulations. Reporting is not required every time a debt is canceled or settled, and might not be required in your case. ARS calling. Please return our call at 1-800-694-3048. ARS is a debt collector. This is an attempt to collect a debt. Any information obtained will be used for that purpose. Again, our number is 1-800-694-3048. Visit us at www.arspayment.com. The Third Circuit found that the consumers stated a claim under § 1692e(14) because “ARS” is neither the collector’s full business name, a name under which it usually transacts business, or a commonly used acronym for its registered name “ARS Account Resolution Services.” The court affirmed dismissal of the § 1692d(6) claim because consumers did not allege that using the abbreviation ARS was false or that its use amounted to a lack of meaningful disclosure. The court also affirmed dismissal of the § 1692e(10) claim because it found that the message adequately warned that any information obtained would be used to collect a debt and it was not materially deceptive, misleading, or false. St. Pierre v. Retrieval–Masters Creditors Bur., Inc., 898 F.3d 351 (3d Cir. 2018). The Third Circuit concluded that the exposure of a debtor’s account number through a glassine window on an envelope “implicates a core concern animating the FDCPA—the invasion of privacy” and thus conferred standing on the consumer. However, the court concluded that highway tolls are not a “debt” under § 1692a(5) because in exchange for tolls the consumer received the public benefit of highway maintenance and repair rather than a private benefit of a “personal, family, or household” service. As a result, the court affirmed dismissal of the consumer’s FDCPA claim. Tatis v. Allied Interstate, L.L.C., 882 F.3d 422 (3d Cir. 2018). The Third Circuit reversed the dismissal of plaintiff’s § 1692e claim based on a collection letter “settlement” offer on a time-barred debt. Concluding that the least sophisticated consumer could be misled by such a letter when read in its entirety, even absent an explicit threat of legal action, the court clarified Huertas v. Galaxy Asset Mgmt., 641 F.3d 28, 32 (3d Cir. 2011). Panico v. Portfolio Recovery Assoc., 879 F.3d 56 (3d Cir. 2018). In a credit card agreement governed by Delaware law, the Delaware tolling statute for statute of limitations only applied to “defendants not otherwise subject to service of process” and does not indefinitely toll the statute of limitations for all consumers residing outside of Delaware. The appellate court reversed the order of summary judgment for the defendant and remanded the case. Davis v. Credit Bur. of the South, 908 F.3d 972 (5th Cir. 2018). Appeals court affirmed the lower court decision denying attorney fees despite the fact that summary judgment was awarded for the consumer’s FDCPA claim. The court found no abuse of discretion where success was limited, quality of work was poor, hourly rate and number of hours billed were excessive, the record supported the lower court’s conclusion that Davis and her counsel colluded in establishing the cause of action, and there were no actual damages. Macy v. GC Services L.P., 897 F.3d 747 (6th Cir. 2018). Consumers filed a class action against collector for violating § 1692g(a) by omitting to note that disputes must be made in writing. The Sixth Circuit found that the consumers, “satisfied the concreteness prong of the injury-in-fact requirement of Article III standing by alleging that [collector’s] purported FDCPA violations created a material risk of harm to the interests recognized by Congress in enacting the FDCPA.” In so ruling, the court distinguished its previous published FDCPA decisions interpreting Spokeo, Lyshe v. Levy, 854 F.3d 855 (6th Cir. 2017) and Hagy v. Demers & Adams, 882 F.3d 616 (6th Cir. 2018). The court also affirmed certification of the class, concluding that challenges to commonality and adequacy rested on the collector’s argument that the consumers lacked standing. O'Boyle v. Real Time Resolutions, Inc., 910 F.3d 338 (7th Cir. 2018). Consumer received a two-page collection letter. The first page directed the reader to “the back of this page for additional important information.” The back of the letter included state disclosures but not the validation notice, which only appeared at the top of the second sheet. The appeals court affirmed dismissal of consumer's claims of overshadowing the consumer's dispute rights under §§ 1692e, 1692e(10), 1692g, and 1692g(b), noting that it was reasonable to expect the consumer to read the second page of the letter and see the notice where the FDCPA did not require the collector to put the validation notice on the first page, state where the validation notice was located, or identify it as important. Duncan v. Asset Recovery Specialists, Inc., 907 F.3d 1016 (7th Cir. 2018). Repossession company’s demand for $100 handling fee for the return of personal property in a repossessed car was not a demand for payment of the principal on behalf of the lender and did not violate § 1692f. The appeals court affirmed summary judgment for the repossession company. Smith v. GC Services L.P., 907 F.3d 495 (7th Cir. 2018). Eight months after consumer filed an FDCPA claim, collector notified consumer of an arbitration clause. Consumer refused to arbitrate but collector waited an additional five months before filing to compel arbitration. The appeals court affirmed the lower court's decision not to enforce the arbitration agreement due to waiver of any right to arbitrate. Loja v. Main Street Acquisition Corp., 906 F.3d 680 (7th Cir. 2018). This appeal involved a debt not actually owed by the consumer who had been sued for it. The trial judge, sua sponte, raised the issue of whether a misidentified consumer qualified as a consumer pursuant to § 1692a(3), dismissing the complaint and denying a request to amend. Reversing dismissal of the consumer's FDCPA claim, the appeals court concluded that the definition of "consumer" under § 1692a(3), "includes consumers who have been alleged by debt collectors to owe debts that the consumers themselves contend they do not owe." Holcomb v. Freedman Anselmo Lindberg, L.L.C., 900 F.3d 990 (7th Cir. 2018). Consumer sued collection attorney for serving her with a default judgment motion in addition to serving her attorney, alleging a violation of § 1692c(a)(2). Reversing summary judgment for the consumer, the Seventh Circuit held that, because the consumer’s attorney had not yet entered an appearance in the underlying collection action, state court procedural rules required the collection attorney to serve the consumer directly. Concluding that these state court procedural rules requiring service to the consumer were “express permission of a court of competent jurisdiction” to communicate directly with the consumer, the court entered summary judgment for the collection attorney on the § 1692c(a)(2) claim. Portalatin v. Blatt, Hasenmiller, Leibsker & Moore, L.L.C., 900 F.3d 377 (7th Cir. 2018). Consumer sued debt buyer and collection law firm alleging a § 1692i violation of the FDCPA and violations of state law. Consumer settled with debt buyer but did not allocate the settlement funds to particular claims. The Seventh Circuit held that, where the FDCPA limits statutory damages to $1000 per action and not per defendant and where there is no allegation that the defendants violated the FDCPA independently of each other, the lower court erred by failing to dismiss consumer’s FDCPA claims as moot after consumer settled with debt buyer. In light of its ruling that the FDCPA claims were moot, the court also reversed the award of attorney fees and costs that consumer won at trial against the collection law firm. Schlaf v. Safeguard Property, L.L.C., 899 F.3d 459 (7th Cir. 2018). Defendant is a “mortgage field servicing company” that works for the mortgage servicer to perform a variety of tasks that include leaving door hangers with the name and phone number of the mortgage servicer. The Seventh Circuit held that defendant was more akin to a messenger than an indirect debt collector, concluding that it did not qualify as a debt collector under the “regularly collects” definition in § 1692a(6) because it had “no part in the collection or attempted collection of a debt.” The court relied on the fact that the defendant did not discuss the debt or have any other contact with the homeowners as well as the fact that the door hanger did not give details about the debt or demand payment. Dunbar v. Kohn Law Firm, S.C., 896 F.3d 762 (7th Cir. 2018). Two consumers received collection letters offering to settle alleged debts for a reduced amount but warned that “[t]his settlement may have tax consequences.” Consumers alleged § 1692e violations claiming that the letters were misleading because they were insolvent and would not owe taxes on any discharged debt. The Seventh Circuit affirmed dismissal of the claims because a statement that a settlement “may” have tax consequences is literally true and not misleading to the least sophisticated consumer. Walton v. EOS CCA, 885 F.3d 1024 (7th Cir. 2018). Consumer sent a letter disputing that she owed any money under the account number listed. After reviewing its records, collector sent consumer a letter stating that it had verified her name, address, and last four digits of her Social Security number and once again listing the incorrect account number. Affirming the lower court’s decision granting collector’s motion for summary judgment, the Seventh Circuit held that collector satisfied its obligation to verify a disputed debt by checking its own records. The court held that, “[t]he verification assures the consumer that the creditor actually made the demand the debt collector said it did and equips the consumer to evaluate the validity of the creditor’s claim. It would be both burdensome and significantly beyond the Act’s purpose to interpret 1692g(b) as requiring a debt collector to undertake an investigation into whether the creditor is actually entitled to the money it seeks.” Concluding that the defendant had reported the debt to consumer reporting agencies as disputed, the court also affirmed summary judgment for collector on consumer’s § 1692e(8) claim. Boucher v. Fin. Sys. of Green Bay, Inc., 880 F.3d 362 (7th Cir. 2018). Plaintiff stated a claim under § 1692e and § 1692g(a)(1) where collection letter indicated that “[b]ecause of interest, late charges, and other charges that may vary from day to day, the amount due on the day you pay may be greater.” This language is misleading to an unsophisticated consumer since late charges and other charges are prohibited by state law in Wisconsin. This misleading statement was material because the prospect of additional charges might lead consumers to prioritize scarce resources to pay this bill. The fact that the quoted language was copied exactly from the safe harbor language provided in Miller v. McCalla, Raymer, Padrick, Cobb, Nichols, & Clark, L.L.C., 214 F.3d 872 (7th Cir. 2000) did not immunize defendant from FDCPA liability because the Miller safe harbor was unavailable for inaccurate information. Scheffler v. Gurstel Chargo, P.A., 902 F.3d 757 (8th Cir. 2018). Garnishment notice that included contact information and a notice that it was “an attempt to collect a debt” did not violate § 1692c(c) because it fit within the § 1692c(c)(2)’s exception allowing collectors to notify the consumer of a remedy. The Eighth Circuit also concluded that collector did not violate § 1692c(c) by discussing settlement options after consumer called collector and asked what he was “gonna do about” the debt. The court held that § 1692c(c) did not prohibit collectors from responding to consumer inquiries about the debt because even an unsophisticated consumer would know that such a question waived § 1692c(c) rights to allow the collector to answer the question. Finally, the court rejected the § 1692e(10) argument, finding that the letter accurately stated that consumer could reach a collection representative at that number and never promised that an attorney would answer questions about garnishment. The court affirmed summary judgment for the collector. Coyne v. Midland Funding L.L.C., 895 F.3d 1035 (8th Cir. 2018). Consumer stated a claim that law firm violated § 1692e and § 1692f by attempting to collect interest on a credit card balance that already included interest in violation of a state law that prohibited charging of compound interest without a contractual agreement. The Eighth Circuit held that “a false representation of the amount of a debt that overstates what is owed under state law materially violates 15 U.S.C. § 1692e(2)(A)” as well as reaffirming that this is a violation of § 1692f(1). Hill v. Accounts Receivable Servs., L.L.C., 888 F.3d 343 (8th Cir. 2018). Debt collector filed suit in state court and consumer successfully defended based on a challenge to the authenticity of exhibits purporting to document assignment of the debt. Consumer subsequently claimed debt collector violated §§ 1692e, 1692e(2), 1692e(5), and 1692(10) based on debt collector’s alleged inability to document its collection claims and alleged false statements in documents submitted to state court. Adopting a materiality standard for § 1692e claims, the Eighth Circuit held that debt collector’s assignment documentation was not materially false and other alleged inaccuracies were not material where consumer did not deny that the medical debt was owed or that it was assigned to debt collector. Consumer also claimed violations of § 1692f and 1692f(1) due to attempting to collect interest that was allegedly prohibited under state law. The Eighth Circuit held that whether the interest claim was permissible was an unresolved question of state law and, thus, did not violate the FDCPA although the consumer may have had a valid legal defense to the interest. Tourgeman v. Nelson & Kennard, 900 F.3d 1105 (9th Cir. 2018). In an FDCPA class action case, the Ninth Circuit held that the plaintiff has the burden of proof with respect to the defendant’s net worth for the purpose of establishing the maximum statutory damages under § 1692k(a)(2)(B). Because a determination of net worth is required in order to calculate statutory damages, the Ninth Circuit affirmed dismissal of the class claims where consumer lacked competent evidence of collector’s net worth. McNair v. Maxwell & Morgan P.C., 893 F.3d 680 (9th Cir. 2018), petition for cert. filed sub nom. Maxwell & Morgan, P.C. v. McNair, 18-729 (U.S. Dec. 7, 2018). The Ninth Circuit clarified that “effort to collect homeowner association fees through judicial foreclosure constitutes ‘debt collection’ under the Act,” distinguishing its holding in Ho v. ReconTrust Co., NA, 858 F.3d 568 (9th Cir.) (non-judicial foreclosure). The court also concluded that the collector violated § 1692e(2)(A) by implicitly claiming that post-judgment attorney fees had already been approved by the court even though no court had yet approved the amount of accruing attorney fees claimed in the writ. Echlin v. PeaceHealth, 887 F.3d 967 (9th Cir. 2018). Consumer alleged that debt collector was a flat-rater in violation of § 1692j. Court held that debt collector did not violate § 1692j because it meaningfully participated in debt collection activities by screening accounts, drafting and mailing collection letters without input from creditor, responding to mail and phone calls from consumers, maintaining a website for consumers to access information about their accounts, and sometimes receiving payments. Since the debt collector was meaningfully involved in collection, the court also held that the creditor was not collecting under a false name and did not violate § 1692e. Consumer failed to plead a § 1692e(5) violation by debt collector in the complaint and, as a result, could not argue this at the summary judgment stage. Moreover, leave to amend was not appropriate because a § 1692e(5) claim was barred by the FDCPA’s one-year statute of limitations. It did not relate back to the filing of the § 1692j claim because the § 1692e(5) claim did not rely on the same facts and evidence. Mayotte v. U.S. Bank, 880 F.3d 1169 (10th Cir. 2018). Plaintiff did not attempt to modify or set aside a prior state court judgment. The Rooker-Feldman doctrine, therefore, did not apply. Not only did plaintiff not seek to set aside the foreclosure sale, her claims pre-dated the foreclosure proceedings. Appellate court reversed dismissal of plaintiff’s FDCPA and other claims under the Rooker-Feldman doctrine. Obduskey v. Wells Fargo, 879 F.3d 1216 (10th Cir. 2018), cert. granted sub nom. Obduskey v. McCarthy & Holthus L.L.P., 138 S. Ct. 2710 (2018). Appellate court affirmed dismissal of FDCPA claims against mortgage servicer and its law firm. First, it concluded that the servicer was not a debt collector because the loan was not in default when it began servicing the loan or when it became assignee. Next, it found that the law firm was not a debt collector “[b]ecause enforcing a security interest is not an attempt to collect money from the debtor, and the consumer has no ‘obligation ... to pay money.’” Thus, the court concluded that nonjudicial foreclosure is not covered under the FDCPA, distinguishing judicial and nonjudicial foreclosures based on the availability of deficiency judgments in the former but not the latter. (Despite this alleged distinction, the court acknowledging that deficiency judgments are available through a separate proceeding after a nonjudicial foreclosure in Colorado.) The court left open the possibility of FDCPA coverage where the threat of foreclosure is used to attempt to obtain payment. Jackson v. Bank of Am., 898 F.3d 1348 (11th Cir. 2018). The Eleventh Circuit affirmed dismissal of a post-foreclosure complaint alleging FDCPA violations and fifteen other causes of action, concluding that the amended complaint was “an incomprehensible shotgun pleading” that violated Fed. R. Civ. P. 8(a). The court also ordered consumer’s attorney to show cause why they should not order him to pay double costs and expenses incurred in defending the appeal. April Kuehnhoff is a staff attorney in the National Consumer Law Center’s Boston office, where she advocates for fair debt collection. She is the co-author of NCLC's Fair Debt Collection and a contributing author to Surviving Debt. 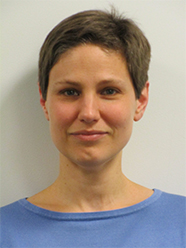 Prior to joining NCLC, Ms. Kuehnhoff was an associate at Shapiro Haber & Urmy LLP, a law clerk for the Honorable Justice Gary Katzmann at the Massachusetts Appeals Court, and a Skirnick Public Interest Fellow at the Cambridge and Somerville Legal Services office of Greater Boston Legal Services. She is a graduate of Wellesley College and Harvard Law School.